TTI offer a complete selection of LC LC fiber optic cable assemblies, these LC-LC fiber cables including single-mode and multimode types in simplex and duplex versions. Cables jacket can be Riser rated or Plenum rated, with LSZH cable and PVC options, and are all RoHS compliant cables. 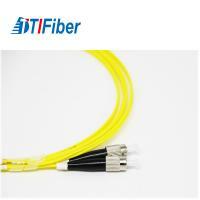 We supply related standard and custom made fiber optic cables with competitive prices and fast delivery. 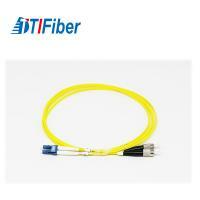 LC part of the fiber optic cable is the compact small form factor LC fiber optic connector. It feature the RJ-45 style interface with low insertion loss and low back reflection, it is with high precision alignment and is widely used all over the world. We supply both simplex LC cable and duplex LC cable. The connector is with a 1.25mm O.D zirconia ceramic ferrule; LC fiber cable can be 9/125 single mode or 50/125 multimode or 62.5/125 multimode, PC, UPC or APC end face. It is compliant to Telcordia, EIA/TIA and IEC standards.